This view from NASA's Dawn mission shows Ceres' tallest mountain, Ahuna Mons, 2.5 miles (4 kilometers) high and 11 miles (17 kilometers) wide. 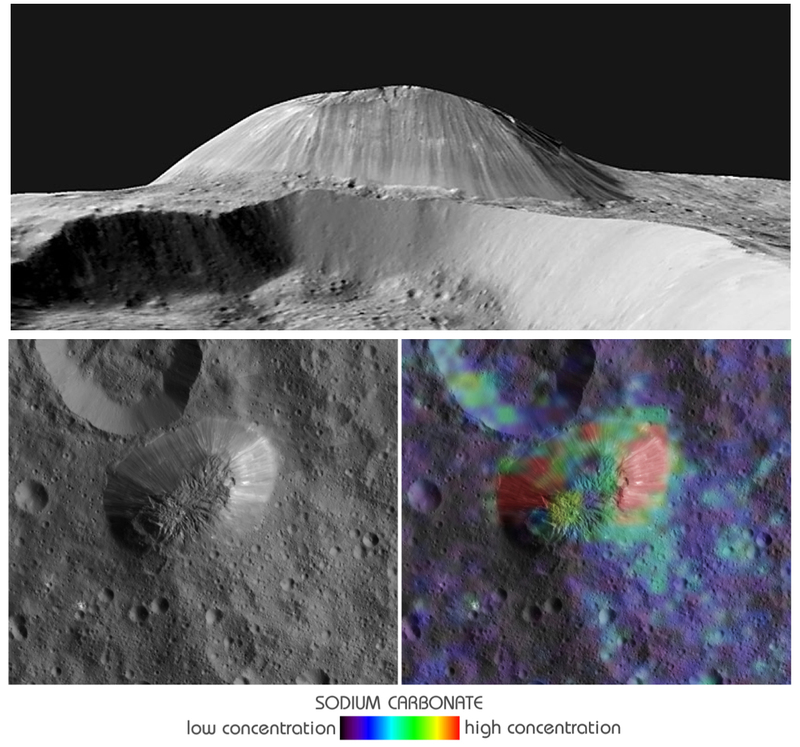 This is one of the few sites on Ceres at which a significant amount of sodium carbonate has been found, shown in green and red colors in the lower right image. The top and lower left images were collected by Dawn's framing camera. 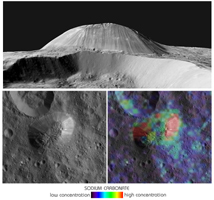 The top image is a 3D view reconstructed with the help of topography data.